Home Business How Does Drop Shipping Work? It’s no secret among modern young entrepreneurs that drop shipping is one way to generate an income with little effort, and the business model is scalable. With a focus on search traffic and internet marketing, these tech-savvy entrepreneurs outsource order fulfillment and generate a semi-passive income. The business has been gaining popularity in location-independent circles where expats work online with the freedom of living anywhere. However with a job like this, few ever step foot into a shipping warehouse to understand the finer points of the shipping process. Drop shippers put a lot of faith in their fulfillment companies in order to manage and facilitate a number of side processes that come with the territory. From packing to managing inventory, fulfillment companies and freight forwarders do all of the heavy lifting. 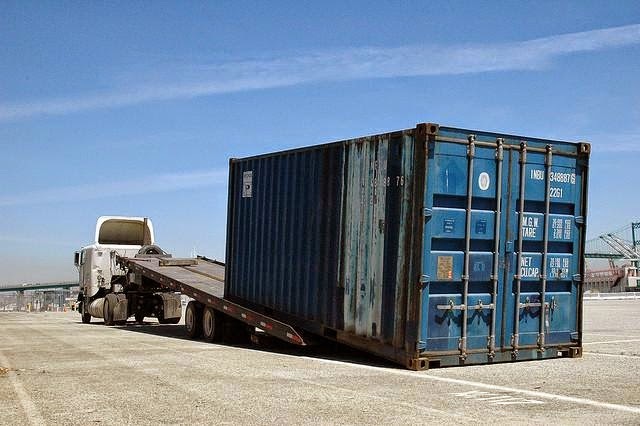 It is shipping container hire made easy. These companies move cargo around the planet, overseas and back again. It is their job to ensure that parcels are packed effectively so contents arrive in good condition, are correctly inventoried and labelled, and are insured against loss, delay, theft, and damage. The amount of documentation that is required to ship goods overseas can be incredibly overwhelming. There are 11 documents that may accompany any given shipment, let’s take a look at what they are. First there’s the Air Freight Waybill; they’re written to be “read only” and are not in a negotiable form. Then there’s the Bill of Lading which is a contract between the owner of the assets shipped and the carrier. Commercial invoice is a bill for goods which pass from seller to buyer. This comes in handy when the government wants to know the true value of your goods. Some countries require a consular invoice; that’s a document that illuminates the nature of a shipment, as well as its worth. In North America, cargo shipped between Mexico, the United States, and Canada require a NAFTA Certificate of Origin. Some purchasers require additional inspections and in these cases, inspection certification may be present. A dock receipt and a warehouse receipt are used when parcels change hands from international carriers to domestic carriers. Destination Control Statements are like DRM for products ship and indicate countries where items are not legally allowed to be shipped to. Export licenses are documents from the government which authorise export of goods in specific quantities to a specific destination. In the US, exports are logged and documented via their SED, which stands for Shipper’s Export Declaration. Of the packing lists which accompany your shipments, none are as detailed as the export packing list, from the products inside to the very packaging the shipment is wrapped in. Fulfillment companies also have a number of duties that prepare the parcel for transport which include the thoughtful schedule of parcel transport, and that means playing nice with other carriers to make sure a delivery gets to where it’s got to go. This is a complex business run on advanced computer systems that can typically track parcels in real time, all over the world. In addition to navigating a complex network of carriers, each parcel is carefully insured by freight forwarders and fulfillment companies – and tariffs are calculated and paid for. Many also handle customer support requests, refunds, warranty claims, and run call centres to get the job done.